A relatively new addition to the Cardiff restaurant scene, The Meating Place has been on my ‘to try’ list for a while now. Mr W visited a week or so ago and really enjoyed his meal, so suggested we went on Saturday night, which I was very happy to go along with, as despite the puntastic name, I had high hopes that it would be pretty good! The menu is by no means extensive, but has a good range of options to suit most tastes. We were not in the market for a starter, but there were some interesting ones on offer, plus oysters available singly, which is a nice touch for a special occasion, and quite unusual in a restaurant whose speciality is meat, rather than seafood. The main courses are split into three groups: firstly, meat skewers, which are served hanging from the ceiling above your table, secondly, steaks, and thirdly, a few more unusual main options, which included fish, pork and vegetarian. Even for non-meat eaters, there was a lot of choice, and there were also a couple of specials on offer. I was particularly impressed by how reasonably priced most of the main dishes were, particularly those in the third section, with most of them around the £12 or £13 mark. Admittedly, most of them probably needed a side dish or two with them, but these were not extortionate either. Given that they could probably get away with higher prices, it’s nice that they don’t try and bump them up excessively. Mr W had had a steak on his first visit and declared it to be absolutely excellent, but this time we decided to try the skewers. 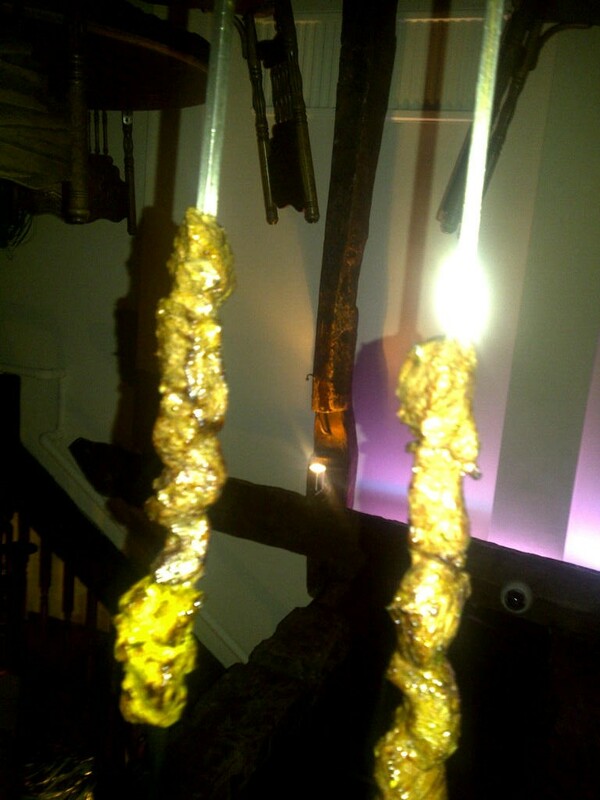 I went for rump of beef, and Mr W chose the mixed skewer – chicken, beef and lamb. The beef was marinated in rosemary oil and was tender, juicy and delicious. Mr W enjoyed all three meats on his, but said that if he had to choose, he’d probably say that the beef was the best, so I was pleased to have made the right choice. The skewers are served with a salad, roasted vegetables, couscous and a flatbread, so the place had a definite Mediterranean flavour. There are also a range of sauces that can be added as an extra, including natural yogurt with coriander and lime, baba ganoush, salsa and hummus. I am a huge fan of hummus so decided to have this on the side. It was definitely home made and, although quite thick, rather than being a dipping, or saucy consistency, tasted lovely! 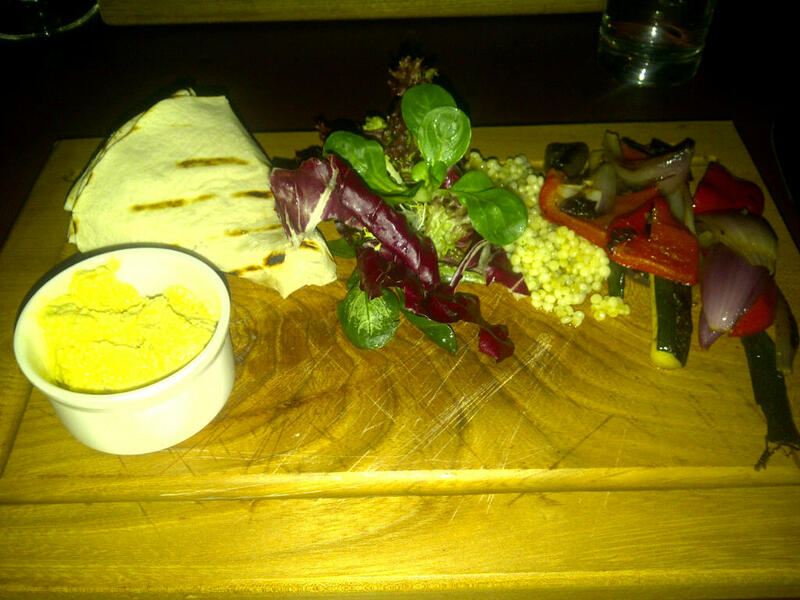 The couscous and flatbread were not things I would normally go for, but I thoroughly enjoyed them, so my entire main course was a resounding success. Hanging the skewers from the ceiling is also a bit of a novelty (albeit one that’s been happening in Cardiff’s Madeira restaurant for years!) and I could imagine the sociable nature of this style of food would make it a popular choice for groups and parties. I’d certainly consider taking friends there. The standard accompaniments, plus hummus! On that note, we sat downstairs, which had a good atmosphere, but was not too busy, whereas upstairs there seemed to be more large groups. I’m not sure if this was a conscious effort on behalf of the restaurant to separate the two, but it worked well, as when you’re just out as a couple, it’s not always ideal to have a big group at the next table, and even less so to have two big groups on either side of you! 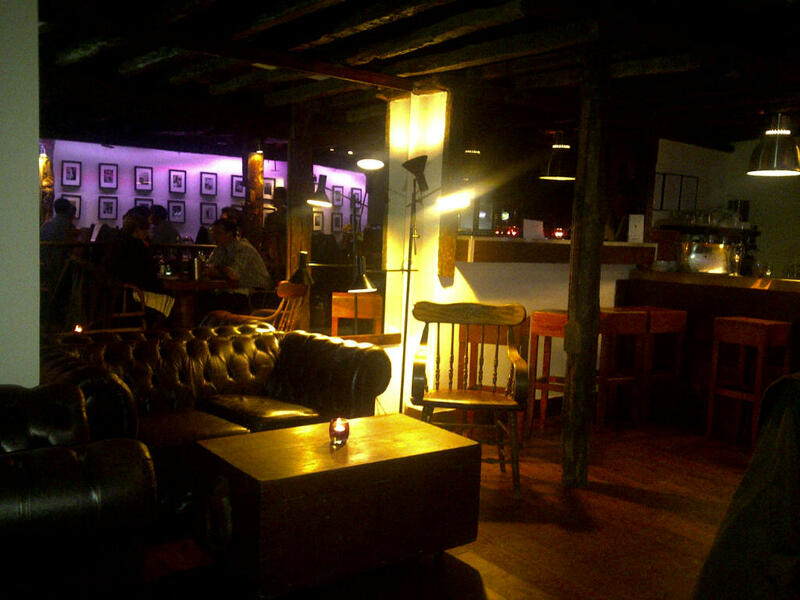 The restaurant is quite dark, but the decor feels in keeping with the type of food and atmosphere they are going for, so what could be dingy in different circumstances actually works well. 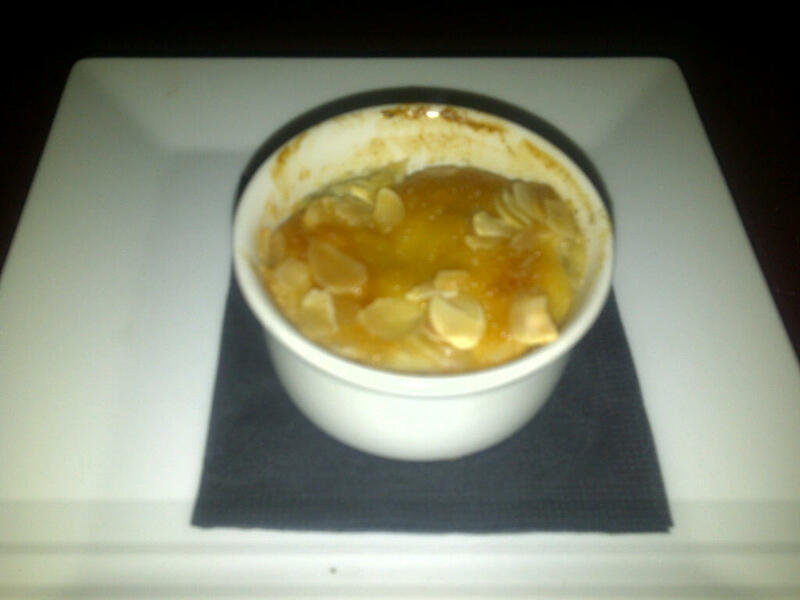 We shared a pudding of apple, almond and vanilla sponge. We were a bit disappointed in this, as it didn’t come served with anything (ice cream, custard etc.) and it definitely needed something. This wasn’t an oversight as we asked before we ordered what it was served with and were told it came on its own as it didn’t need anything! The sponge was light, and had a pleasant vanilla flavour, but whereas the sponge was warm (and the ramekin it was served in was almost volcanically hot!) the apple underneath was cold, which gave an odd combination that didn’t sit very comfortably. I wouldn’t choose the same again, but would give the puddings another chance, as everything else was so good that it may well just have been a bad choice. Despite the dodgy pudding, we had a lovely evening at The Meating Place, and the main courses were so good that it still gets four stars for the food. The service was a little on the slow side – although the food came out quite quickly, it seemed to take them a long time to recognise that we needed menus, were ready to order etc. They also seemed to be on a mission to upsell on drinks, with several prompts to try and get us to order an aperitif in addition to a bottle of wine, and an almost obsessive topping up of our glasses to the extent that we ended up with very full glasses and an empty bottle, at which point we were asked if we wanted them to bring us another one, despite both of us having the equivalent of a large glass still to finish! That aside, the staff themselves were very friendly and helpful and we’d certainly enjoy going back there again.